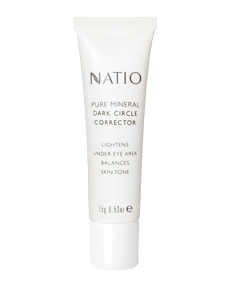 When Annah, one of the gorgeous MUO admins, recommended this product, she said when she puts it on her clients (she’s a makeup artist) “a kind of magic happens.” And I totally agree with her – as a long-time sufferer of dark under-eye circles I am SO.DAMM.THRILLED to have this product in my arsenal! You simply dab it on your dark circles and very gently pat it in/blend like a crazy thing! A tiny bit goes a long way and at only $20, it’s an absolute steal! I got this beauty for Christmas, so it’s somewhat old news, but honestly, it really is one of the best “tools of the trade” I’ve got. My hair is fine, tends to be flyaway and of course, being naturally wavy, I like it straight! 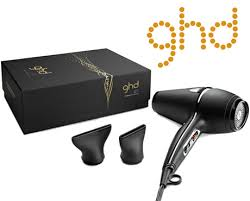 I used to use my GHD straighteners EVERY.SINGLE.DAY (and sometimes more often) but since I got the GHD Air, I’ve found I only need to use the straighteners if I want it mega-straight. It’s kind of expensive at $250-ish, but in my opinion, worth every cent – and more! Top tip: when you’re drying your hair and using a round brush, roll the brush upwards and put tension on, rather than pulling it down straight. That way you get WAY more volume and it still straightens. 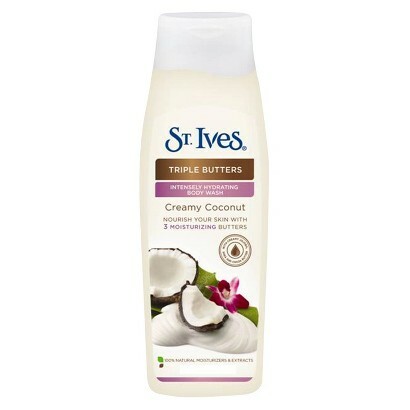 ♥ St Ives Triple Butter Body Wash in Creamy Coconut This stuff smells DIVINE! Imagine a mixture of roasted coconut covered in warm caramel sauce … yum! Pantyhose are the bane of my life … they always ladder and I hate wearing them! However, as a dress-wearing girl in winter and summer, they’re a necessity. Recently I found these “slimming” tights and I really like them. At about $9 they’re not cheap, but they have a lovely sheer look to them and although the hold-your-tummy-in part isn’t a miracle cure for the old muffin top, it certainly doesn’t hurt! I find that the cheaper pantyhose (think $3) seem to create kind of “shadows” around your legs which give the illusion of rugby player legs – which is fine if you’re planning to try out for the All Blacks, but otherwise, not ideal. Give these a go and see what you think. ♥ Trilogy Certified Organic Rosehip Oil About a month or so ago on Facebook, Trilogy NZ were offering a pack of 10 miniature samples of their hugely popular Certified Organic Rosehip Oil. The gimmick was that you were supposed to share the love with your friends! I was lucky enough to get in early for the giveaway, and I did share the love – to some degree! I gave one to my Mum, one each to my two sisters; one each to a couple of friends and one to my daughter. The other four went to me … and my goodness, I really like this stuff! I have been using it at night and a little goes a long way. It’s a lovely light oil that blends into your skin really easily and leaves your skin feeling mega-soft and glowy the next morning. I have noticed my dark circles have become less noticeable and the texture of my skin seems improved. I am half-way through my last bottle so will be heading off to my local department store to get a full-sized version. Thanks Trilogy! 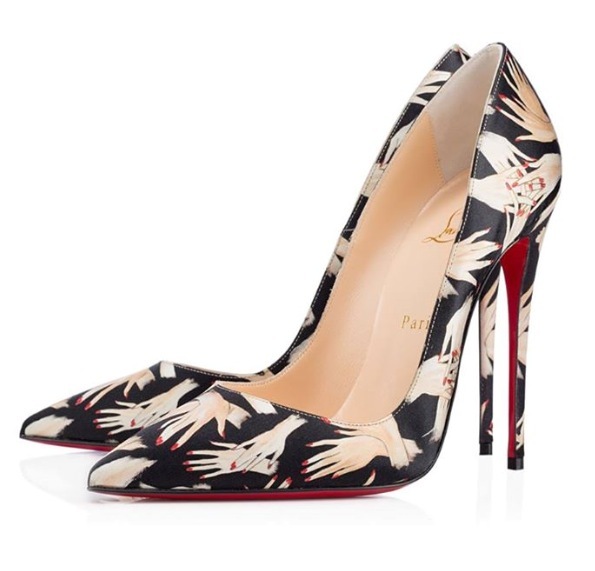 And last but not least … the “Fifi” by Christian Louboutin. They are totally out of my price range of course, but had to include them because really, just look at them! Posted on September 3, 2014 November 25, 2014 by MumptyStylePosted in Mumpty LovesTagged Christian Louboutin, GHD Air, mumptystyle, Natio, Razzamatazz, St Ives, Trilogy Organic Rosehip Oil.